Collecting Asylum: Asylum Reviews; Hitman: Definitive Edition [Xbox One]. Asylum Reviews; Hitman: Definitive Edition [Xbox One]. 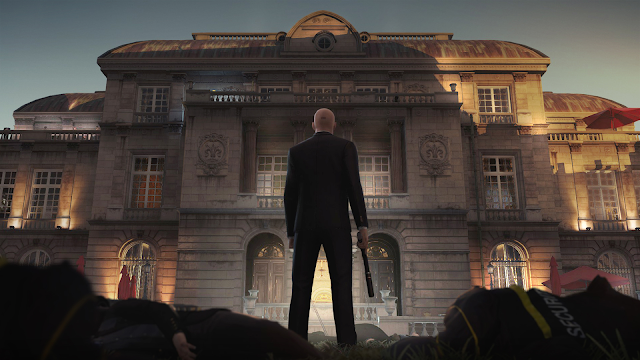 Bringing together all of the Hitman Season One content, Hitman Definitive Edition is a must-buy for people who missed the episodic release the first time around (i.e., us). 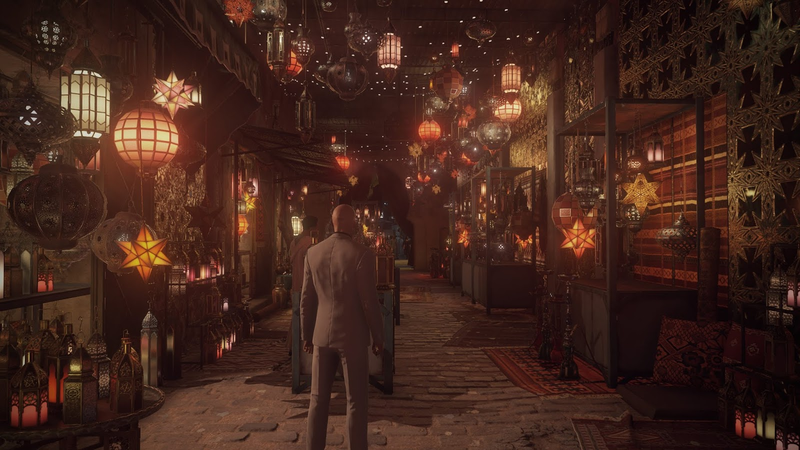 As you'd expect, you take on the role of Agent 47, hunting down targets with the freedom to kill as you please. How do you want to take down this target; Garrote wire, a silenced bullet to the head, or do you want to make it look like an accident? You'll make your way through the locations, tracking your target and switching costumes as you go, trying to slip past enemies un-noticed (and even getting some limelight as a runway model!) I really enjoy switching in and out of costumes and it's clever how these changes don't always get you off the hook from NPCs. Some NPCs will still recognise something is off about you - which makes sense considering you're a big, buff, bald dude with a barcode on his napper. 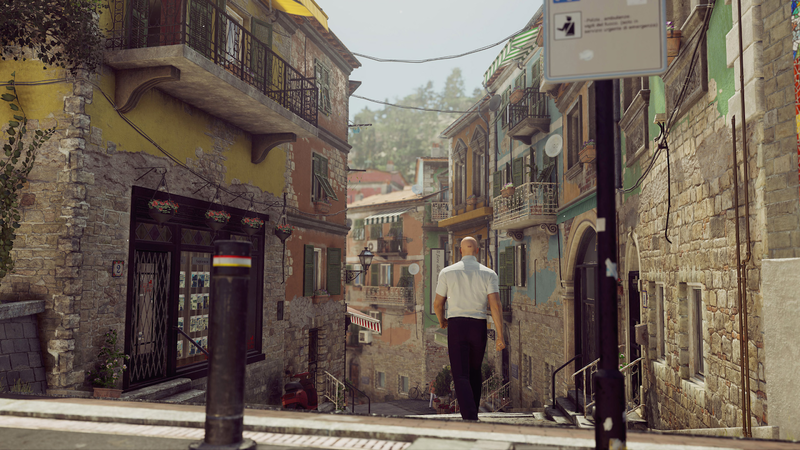 The visuals are stunning, and you can feel how real the environment is with all of the hustle and bustle. The architecture is absolutely gorgeous, and the lighting and intricate detail on the buildings really impressed me. The maps are larger and more full of life than in previous games. There are secret routes through maps, and plenty of places to explore to see what other potential methods of attack might suit. 47 can be a little slow feeling when in combat, so going stealthy is definitely the best way forward. Nothing is more satisfying than wiping out enemies one by one, never being noticed in doing so. One thing that did stand out as a slight annoyance was the repeated use of the same few voice actors across all of the maps - it's not the worst offending thing I've ever come across in a game, but it's enough to snap me out of the moment every now and then. The music was a controversial topic, dividing a lot of people's opinions (particularly long-time fans of the series). The music was great, and really evoked the perfect mood for the game, however did have a tendency to repeat tracks between different maps/locations, which was a little disappointing. I do agree though that previous Hitman titles (Blood Money in particular) did have better soundtracks. There's a wide variety of weapons and environmental options for taking down your targets, and I really enjoyed floating around the map, picking up intel from NPCs on the location of my soon-to-be-victim. There's not a whole lot of story aside from what conversations you pick up from these NPCs, and post-mission cutscenes which was quite disappointing, but I still enjoyed the hunt regardless. There's also a huge amount of replayability, in that you could complete a mission ten times, doing it differently each time. Load up a level and do your best to improve upon the last run by changing things up. Online connectivity allows for new time-bound contracts, which keeps the replayability going, too. 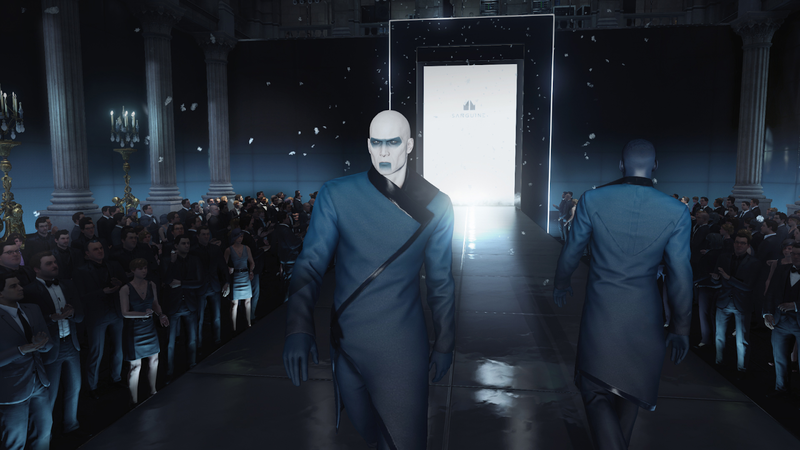 Have you played Hitman: Definitive Edition? What did you think about it?